The Myrtle Beach area is known across the U.S. as a premier family beach destination. 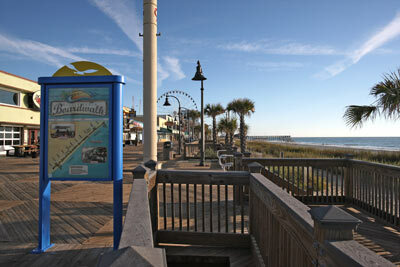 The word is also getting out to international travelers about all the great things the Grand Strand has to offer. The convenience and number of carriers offered by the Myrtle Beach International Airport makes getting to our shores a lot easier. There are also locations in which foreign currency can be converted to American dollars. Oh, and did we mention are mild temperatures? For our friends to the north and across the pond, that can be reason enough to pay us a visit! For more info: International Travel on VisitMyrtleBeach.com.